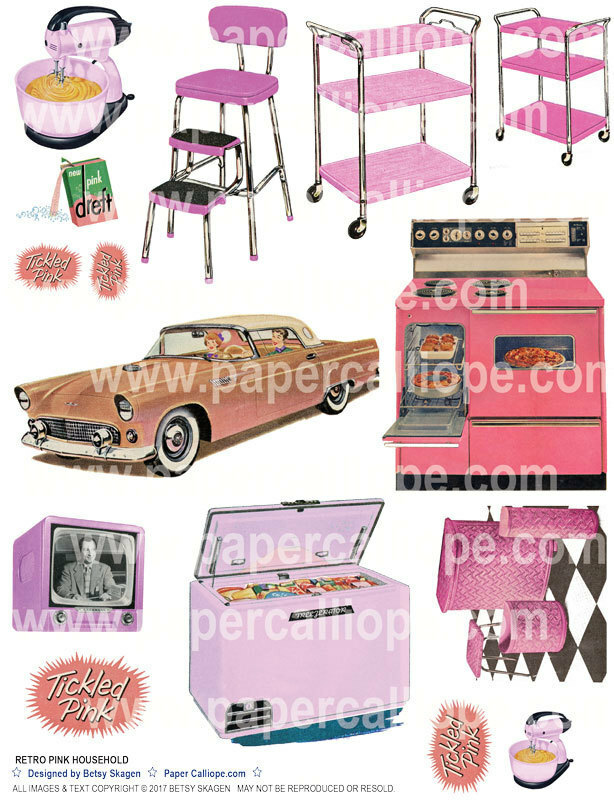 Retro vintage pink household images - Pink and Kitsch- digital images for scrapbooking, collage, mixed media, altered art and more. Bring your card and craft projects to a whole new level with these fun retro pink images. --PPurchasing ​these high resolution PDFs triggers an email with a a secure link where you can download your files. For your security, the unique link will expire 7 days after the product is purchased.